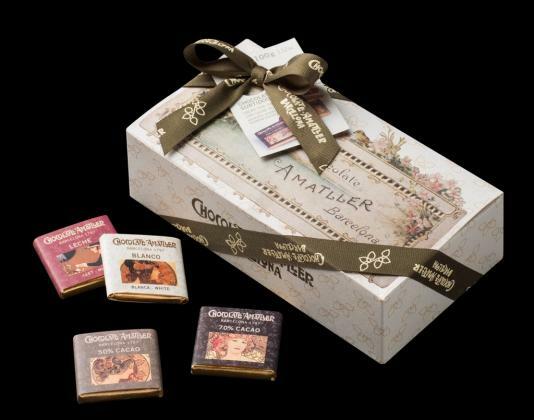 ​Beautiful box with assorted Napolitans by Chocolate AMATLLER that includes the four varieties most representative and significant Dark Chocolate 70% Cocoa, Dark Chocolate 50% Cocoa, Milk Chocolate and White Chocolate. Ideal as a gift. 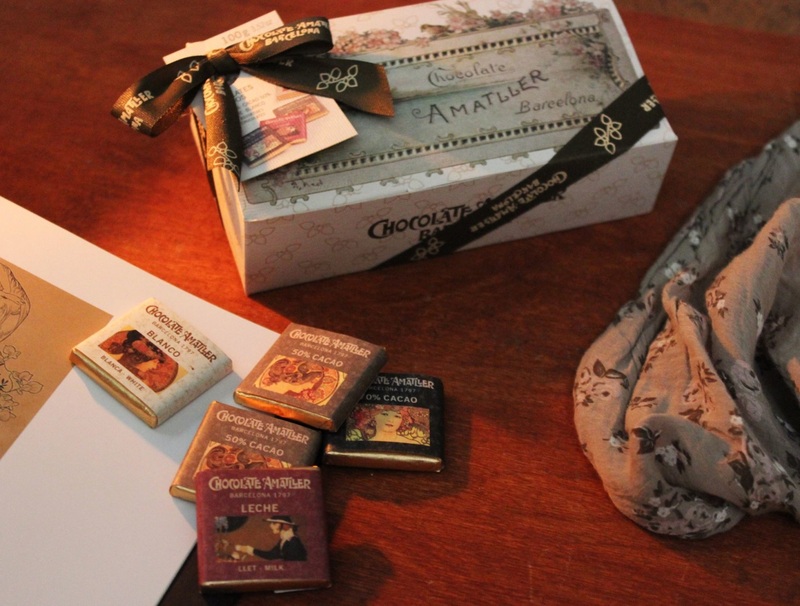 Each napolitan is individually wrapped for maximum taste and freshness in paper inspired by the Art Nouveau era, illustrated with a promotional poster that Alphonse Mucha designed for the company in 1900 to celebrate the Amatller centenary. Ingredients: Cocoa Mass, sugar, emulsifier (soya lecithin) and flavouring. Cocoa solids: 70%, 50%, 32% and 25% minimum.